“I DON’T have emotions. I’m not like YOU.” My most recent relationship revolved around this concept. My boyfriend would remind me, time and time again, that I was overly emotional, which is something he couldn’t understand since he had “no emotions.” Men don’t have emotions, right? Real men don’t cry. This is SUCH a problem. Society has taught men that having emotions is “too feminine” and if they display emotions, men are told to “grow a pair.” Thanks to this stigma, men are bottling emotions and are less likely to seek help for mental illness. 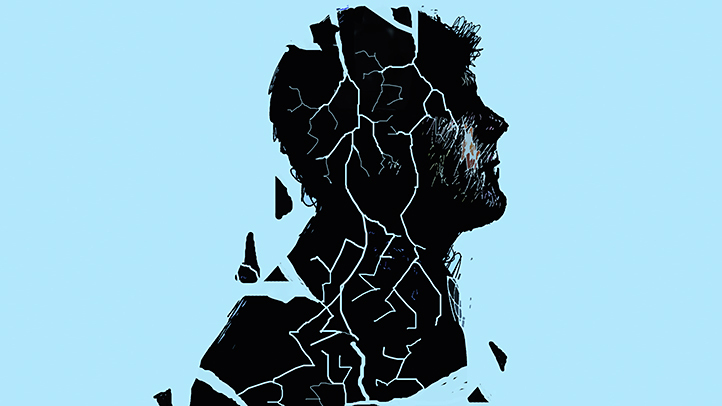 According to Dr. Robert Whitley at the Douglas Hospital Research Center, men account for 75% of all suicide victims in the United States, with an average of one man taking his own life every 20 seconds. That’s 3 men every minute. 180 men every hour. 4,320 men everyday – in the United States alone. Dr. Whitley also shared that around the world, men are 3 to 7.5 times more likely than women to take their own lives. But wait – real men don’t have emotions…right? Growing up, society tells men that they’re supposed to be tough: don’t cry, don’t show weakness in public, and show no emotions – unless it’s anger. In which case, someone probably “deserves it.” This is probably why my partner had to remind me, over and over again, that he is not like me. He is not emotional. Because God forbid he seems vulnerable – or even worse – not manly enough. Jokes on you, society. Research shows that individuals who are strongest in emotional intelligence are more likely to succeed than those who are strongest in either IQ or previous career experience. You read that right. Emotional people are successful people. • You throw like a girl. Research so you can recognize the symptoms. Be a person they can trust. If a man is expressing emotional feelings to you, help him by being a confidant. Assure him that he can trust you and that you can be there for him, no matter what the issue is. If you are feeling suicidal or need help, call the toll-free National Suicide Prevention Lifeline at 1-800-273-8255. They are available 24/7 and all calls are confidential. The lifeline is open to everyone. I appreciate the time you take in thinking about the value of emotional intelligence. I think that especially in countering narratives of emotion = weakness, we have to demonstrate the ways that emotional competence can give us agency and empower us in interpersonal relationships and in the work place. Yahoo! YES! I think it’s also important to look at the way girls police their own emotions as well. I find myself constantly apologizing if I cry and often feel weak or vulnerable for doing so. *snap snaps* I love how not just did you mention a societal double standard where women are overly emotional, but then men can’t show any emotion, is a huge issue. I believe that if more people realize that “I feel” statements are powerful and not weakening, more men could make more rational choices, than what has been shown in news, for example. “When blank blank happens, it makes me feel like blank blank…,” statements like these should not be overlooked, especially by men. Also, I love how you gave a list of suggestions for men to recognize their emotions and to embrace it. PreviousThe Women’s March Was Problematic. Here’s Why. NextLions and Tigers and Hair, OH MY!